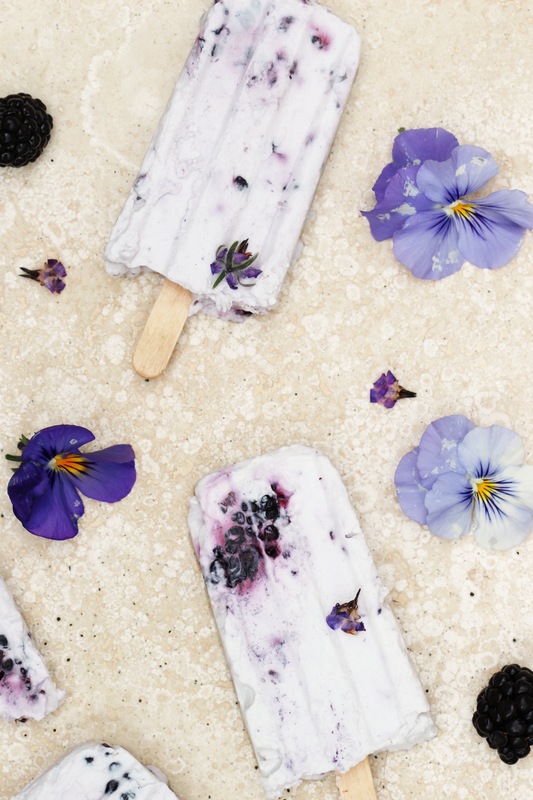 These make the best refreshing summer treat, all with just 4 ingredients. 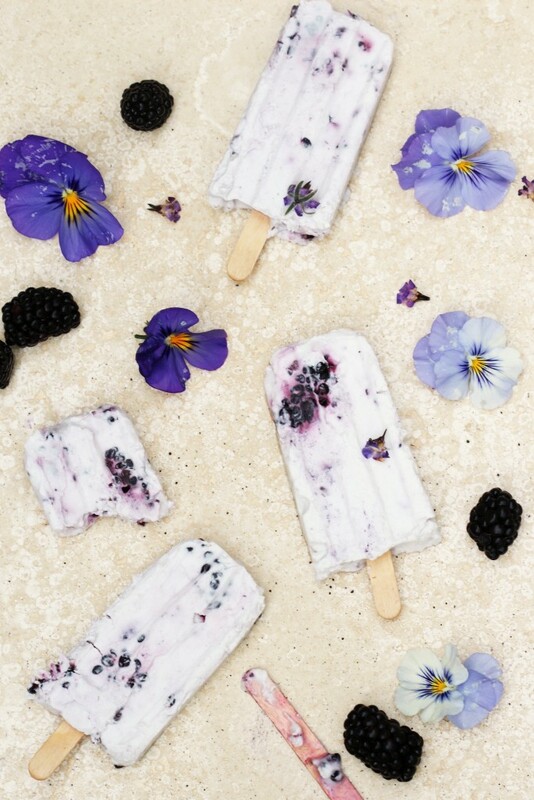 The combination of coconut yoghurt and coconut milk makes them gorgeously creamy and just a little tart, then they’re lightly sweetened with honey or maple syrup and tie-dyed with beautiful blackberries. Guilt free summery heaven for kids and grown ups! Combine the coconut yoghurt, coconut milk and sweetener in a large bowl. Whisk until smooth and creamy. Add in the blackberries and use a spoon to fold them into the mixture, mush and break a few of them as you mix. You want some to be whole and some to spread through the mixture. Divide the mixture between your popsicle moulds. To make sure there are no air pockets, use a spare popsicle stick to poke each one and push the mixture into any gaps. Put the popsicle mould in the freezer for about 3 hours to set. To remove them from the moulds I run warm water over the outside and then shimmy them out carefully.